Ruti Smithline, global co-head of Morrison & Foerster’s Investigations + White Collar Defence Group, focuses on complex litigation, with an emphasis on white-collar criminal defence, SEC enforcement, securities litigation,and corporate internal investigations. Ruti regularly advises clients on cross-border investigations, global compliance programmes and anti-corruption due diligence for acquisitions, joint ventures and private equity transactions. Ruti has represented individual and corporate defendants in cross-border criminal investigations, SEC enforcement matters and other regulatory proceedings, including matters related to trade sanctions and anti-money laundering. 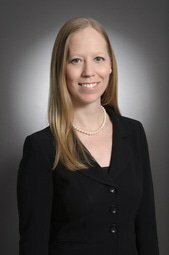 She has experience conducting corporate internal investigations both domestically and internationally, often advising clients on remedial measures responsive to the issues investigated. Ruti was born and raised in Colombia and is fluent in Spanish. She has conducted investigations, seminars and anti-corruption training in Spanish throughout Central and South America. Global Investigations Review recently named Ruti to its prestigious list of top 2018 Women in Investigations. She was also selected by LatinVex as one of "Latin America's Top 100 Female Lawyers: FCPA & Fraud" for 2018.